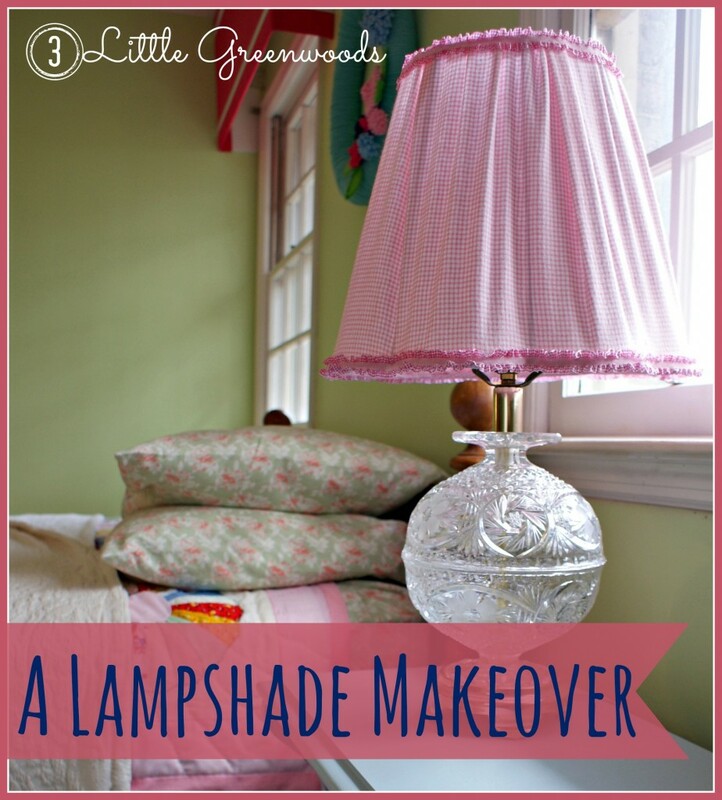 I am so excited to share this DIY Lampshade Makeover with you! These crystal ball lamps with the pretty pink shades so exceeded my expectations. To tell the truth, this project almost did me in. I will spare you the gory details of burned fingers, ripped fabric, and bad words. All the trauma was worth it. 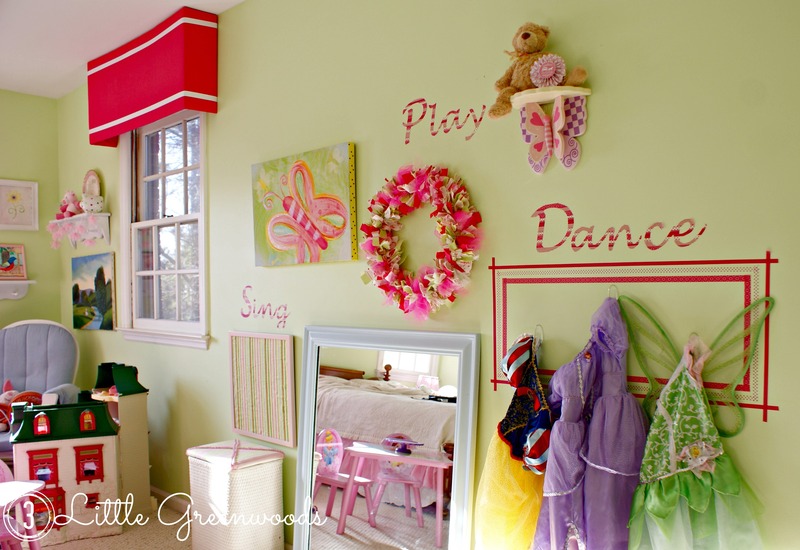 Let me show you how I transformed a plastic-y shade into a shade fit for a little girl’s bedroom. Before I head to Hobby Lobby for fabric, I always double check my craft room stash to see if there is anything I can make work. 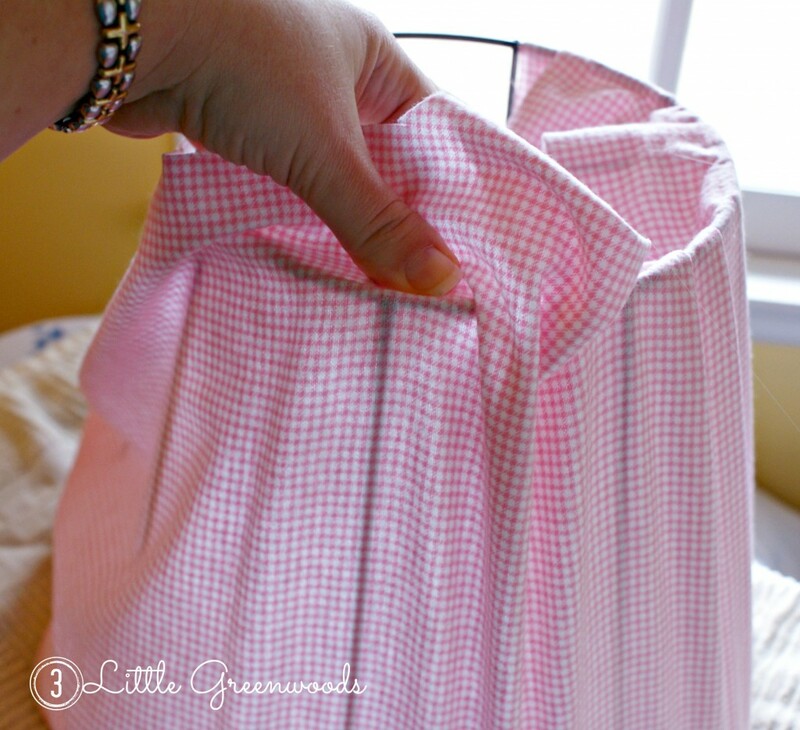 Baby Pink Gingham Flannel! Jackpot! Pull. Yank. Cut. Basically rip it to pieces. 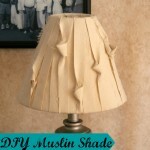 Turn the stripped down shade upside down then begin hot gluing the fabric to the bottom of the lampshade frame. Attach the fabric using hot glue completely around the bottom of the lampshade. 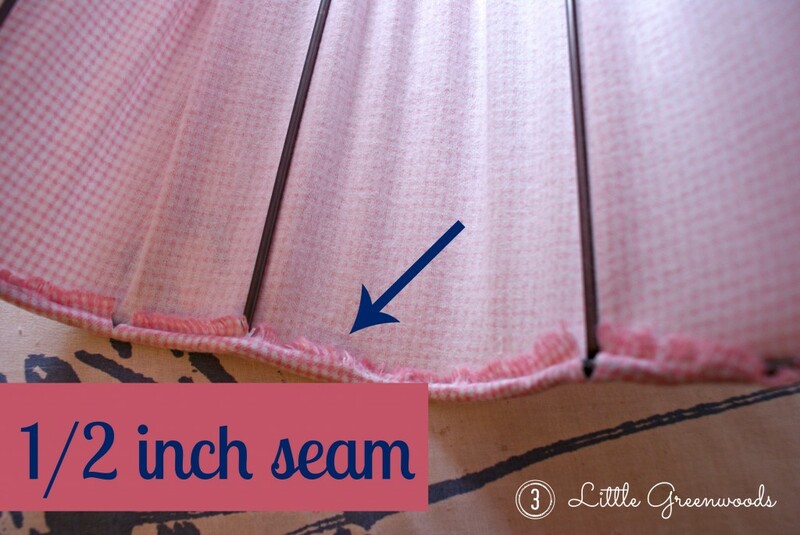 Make sure to leave an even “hem” of 1/2 inch all the way around. 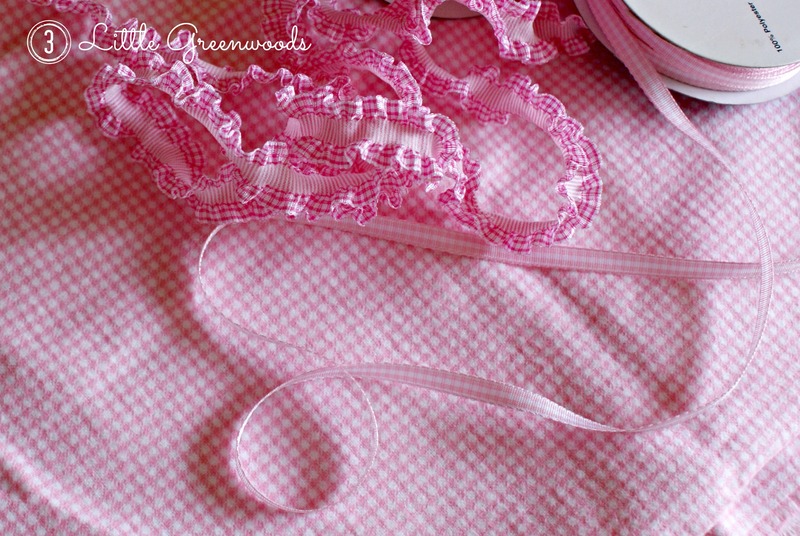 Carefully run a bead of hot glue on the bottom of the frame then fold over the hem to create a finished seam. Do this *carefully*. They don’t call it hot glue for nothing, people! Flip the shade frame up right. Run a small bead of hot glue on the frame. 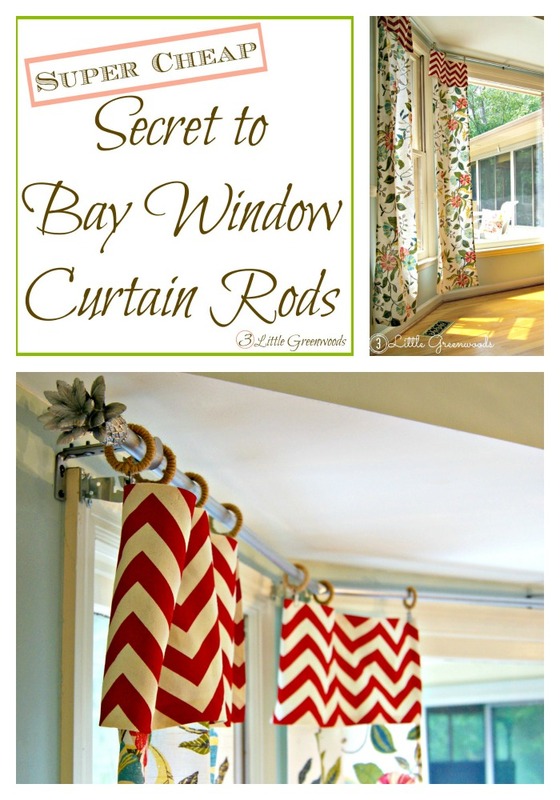 Quickly and carefully pull the fabric taunt up and over the frame. By creating small folds as the fabric was pulled tight and glued down it made the pleated look I was going for. If you accidentally do not have enough fabric to cover the entire frame, simply cut another strip of fabric and hot glue that baby right on down to cover up the gap. It’s going to be on the back anyway! Right? Because this lampshade frame was larger on the bottom than the top the fabric will not lay smooth and straight. Okay… maybe it would if you create some sort of mathematical template for it. My kindergarten teacher brain doesn’t work that way. 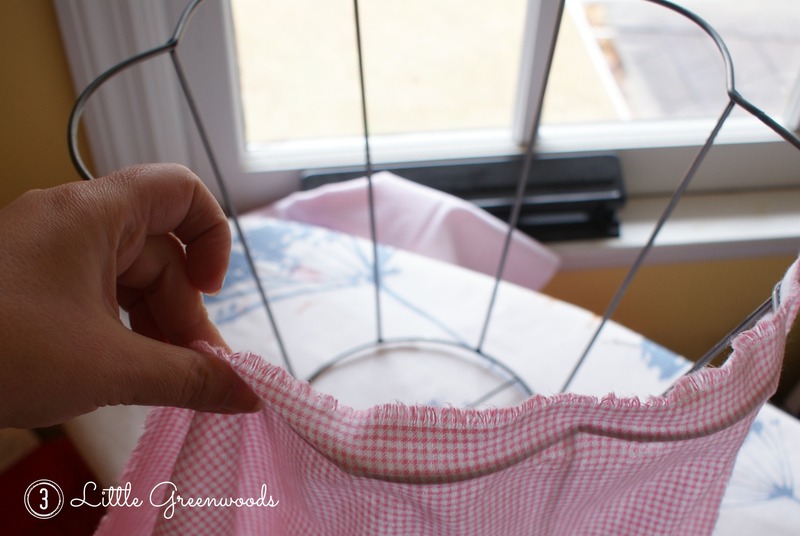 Remove excess fabric but leave 1/2″ hem. 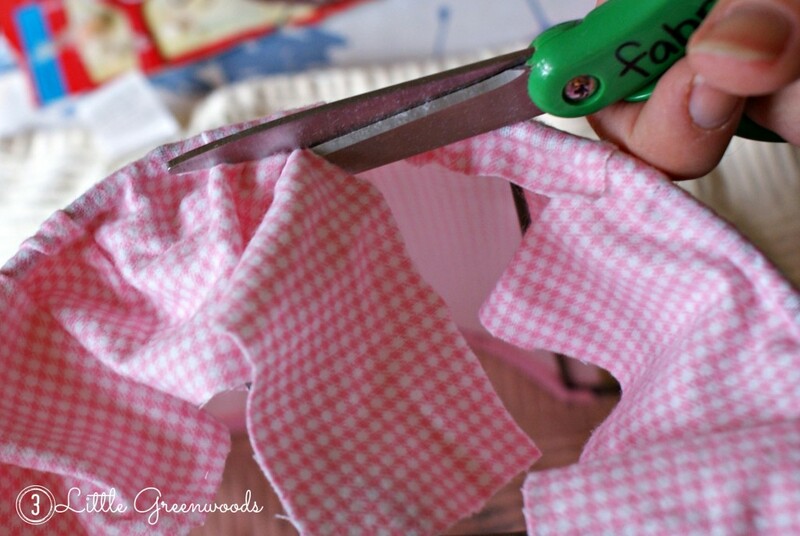 Carefully hot glue the hem down to create a seam along the top of the lampshade. 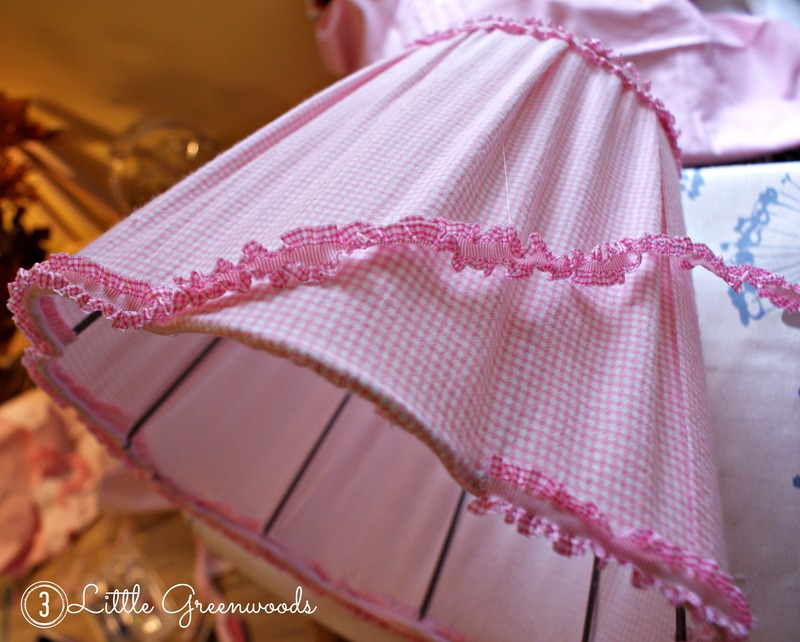 Adding this frilly, girly pink ribbon is the perfect finishing touch to this lampshade. Those burned fingers were so worth it! Want more of Tootsie’s Bedroom Makeover? 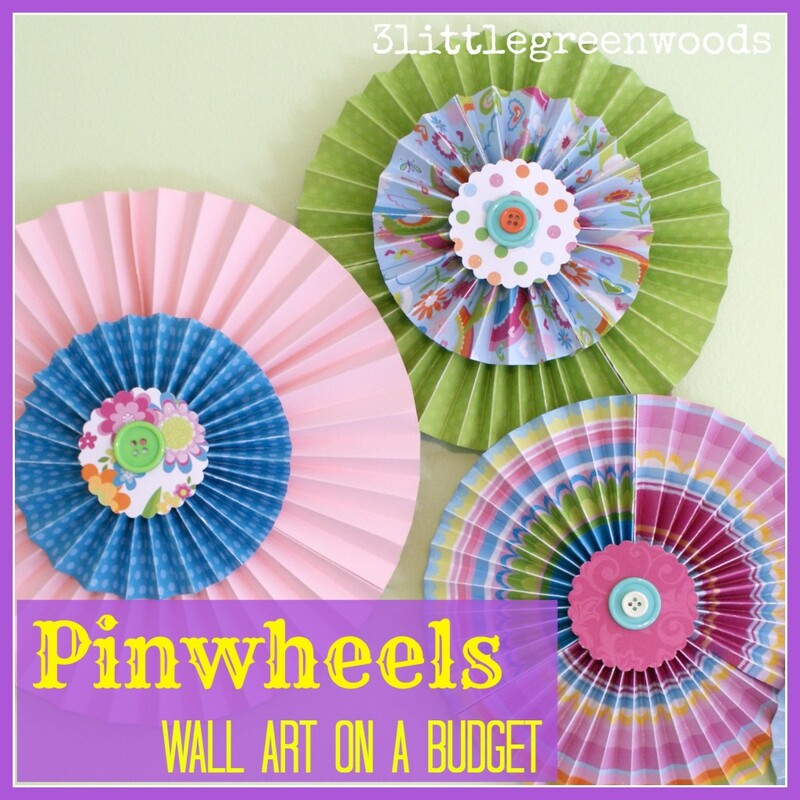 Add color and pattern to a space with this easy DIY project! This is perfect for that room. Nice job! Thanks so much Kathryn! Hope you are doing great! Thanks so much, Kris! Miss you and your sweet children! Love reading and seeing your posts. Very inspiring. 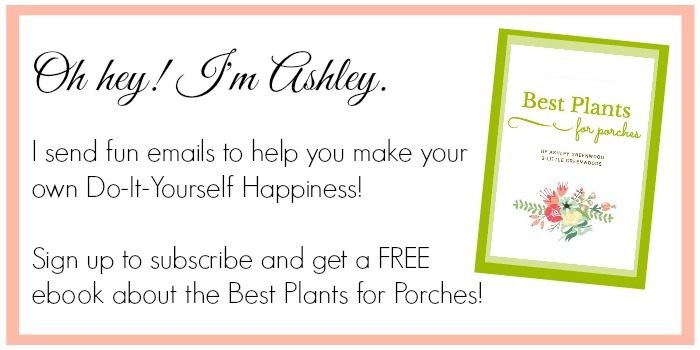 Thanks for the blog love, Tracy! I am really impressed! Great job! I told you they would be too cute! Cute idea and you made it look so easy! Thanks for sharing on the Thursday blog hop! 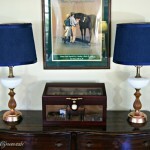 I am in LOVe with these sweet lampshades! Thank you so much for your comment! This is such a cute lampshade. Thanks so much! Your chocolate mint hearts look so good! Great post! 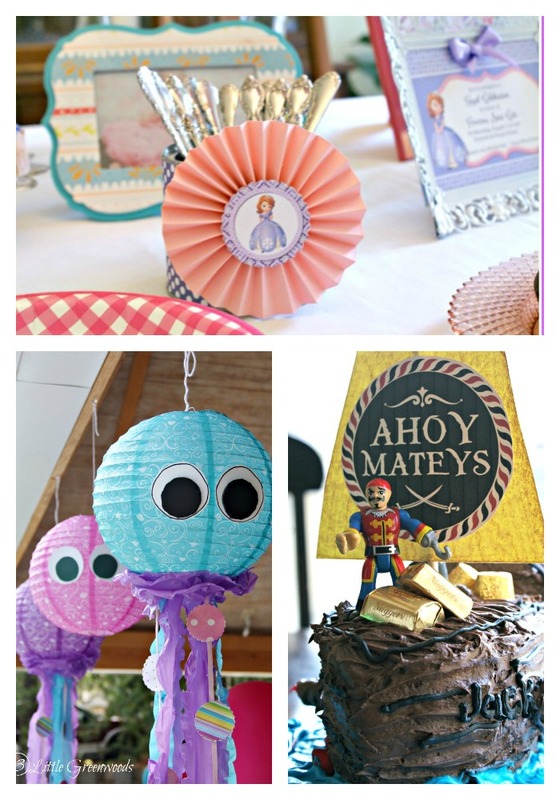 Thanks for sharing at the Happiness Is Homemade Link Party! Pinning to the party board and can’t wait to see what happiness posts you share next week! Have a terrific week! Ashley, it’s so cute! 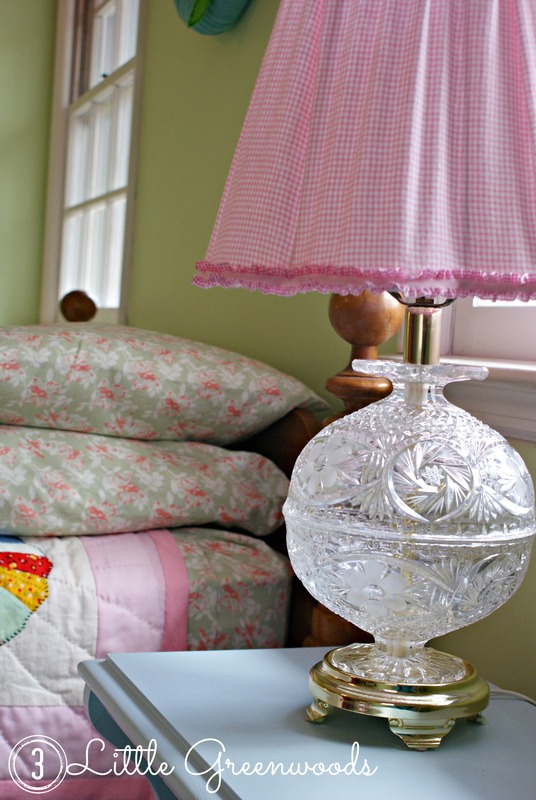 I love the checkered fabric and the pretty trim! Thanks for sharing with SYC. 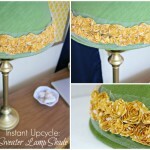 I’ve always wanted to try my hand at covering a lamp shade but have been a bit too nervous to actually do it. Your tutorial is so good that I’m no longer afraid. 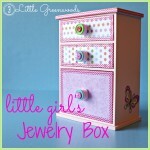 Yours turned out so cute ~ perfect for a little girl’s room. Thanks for sharing this at Making Monday. Have a great week. 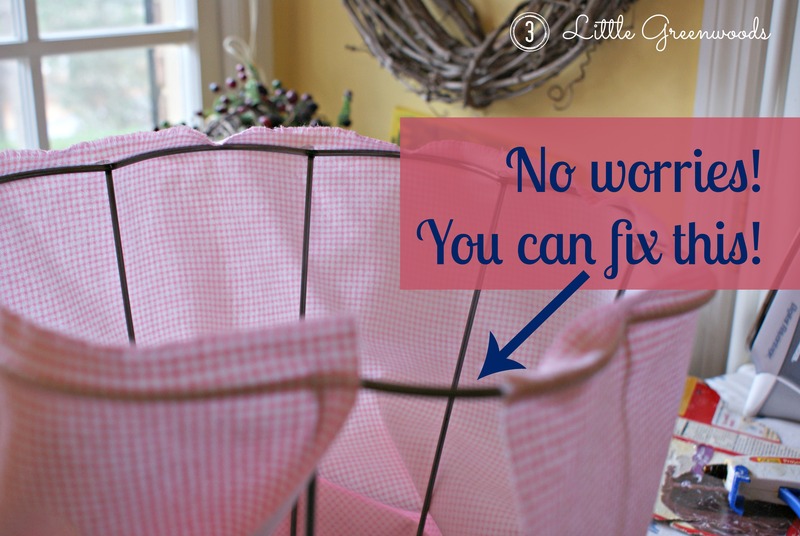 So happy you liked (and understand) my tutorial on how I recovered the lampshades. That’s the best compliment ever! Thank you so very much for hosting Making Monday! Thanks so hosting your fun party, Jess! Hey Marti! 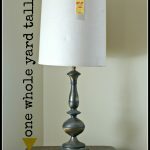 Thanks so much for pinning my DIY Lampshade Makeover Project! Wow, you are so talented in many areas! Stopping by as co-host of Homemade link Party. How sweet of you to say! Thank you, Carrie! You are so sweet, Natasha! 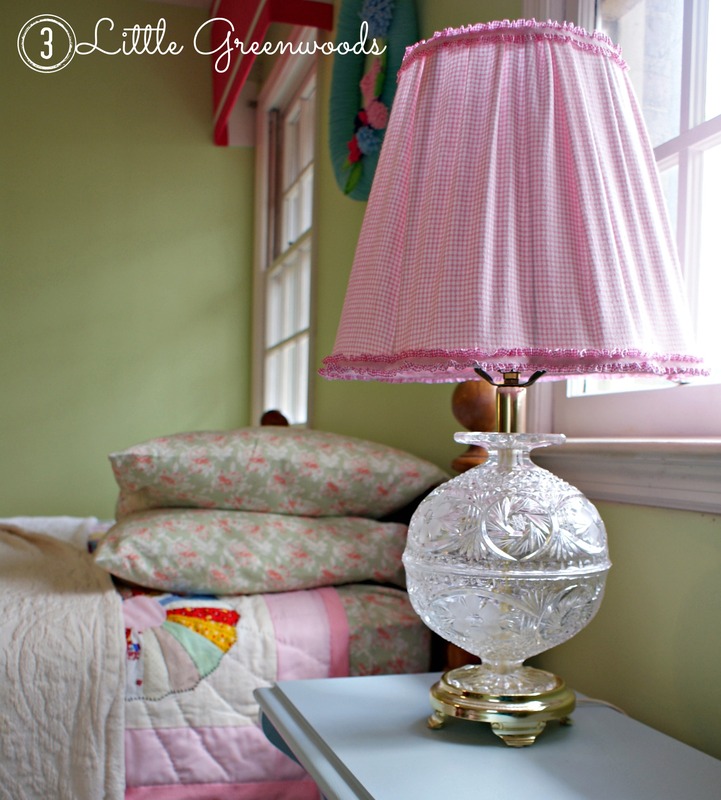 Thanks for your kind words about my pretty pink Lampshade Makeover! I’ve still got a hot glue burn mark on my pinkie but it was so worth it! 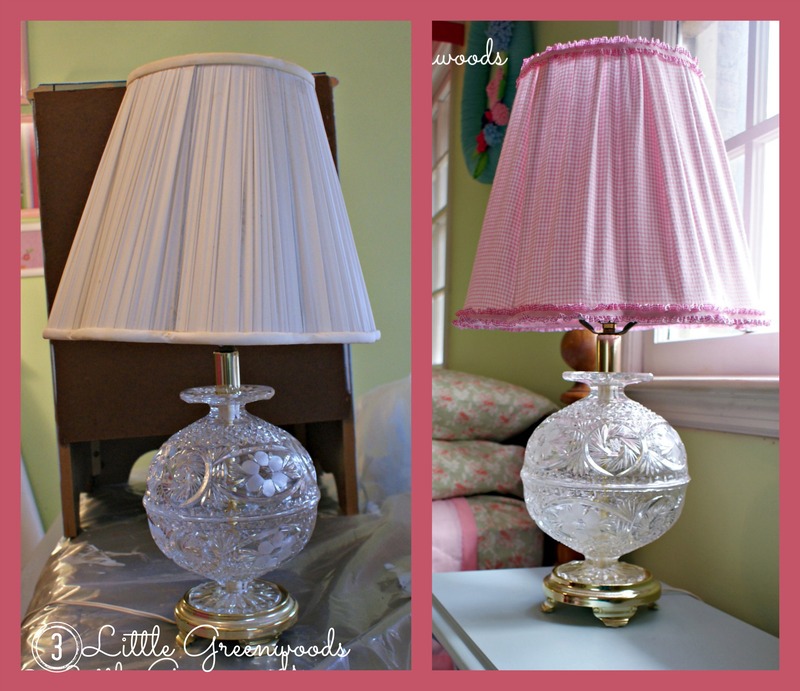 Tootsie’s crystal ball lamps are perfect for her Big Girl Room Makeover! I’ve got several more projects planned. Hope you will follow along! Hey Linda! Thanks so much! 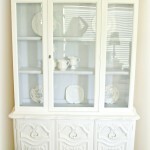 Gorgeous, love it! Hope your fingers have healed by now, they should make heat-proof gloves for us crafty girls! Oooo! We need to invent some Crafty Mama heat-proof gloves! We could make a million! Very pretty. Thanks for sharing your craft at Sweet and Savoury Sundays, we hope you’ll stop by and link up with us again this weekend!